What Happens to Your Injury Claim When You Weren’t Wearing a Seatbelt? There’s no way the car crash was your fault. After all, how could you be blamed? You were a passenger when the accident occurred. Could your injury claim possibly be affected because you weren’t wearing your seatbelt? Maybe you were comfortably positioned in the rear passenger seat at the time of the accident. You figured you were relatively safe back there. So, you decided it wasn’t necessary to buckle up. However, your decision is actually contrary to Texas seatbelt laws. If you’re not familiar with the actual language of the code, we’ll break down some specifics for you. You can get charged with an offense if you are over age fifteen and fail to comply with certain requirements. As a passenger, you must wear safety restraints if you are seated in a moving car or van or other passenger motor vehicle. It makes no difference where you are positioned in the car. So, does this mean you just get a ticket if you fail to wear a seatbelt? Is that the only penalty you face if you weren’t wearing a seatbelt and were injured in an accident? Seatbelts: Did They Cause the Accident? Let’s go back to our exemplary case. You were seated in the backseat of a passenger car. All things considered, you felt pretty safe tucked away behind the driver. However, the impact of the accident thrusts you forward. Remarkably, you are not thrown from the vehicle. Instead, your face hits the windshield. There is blood everywhere. You did nothing to contribute to the accident. That is, in your mind. However, the insurance company for the negligent drivers may try to blame you for the severity of your injuries. Consequently, the claims adjuster may try to low ball monetary damages that you should be able to recover. They might suggest you would never have hit the windshield if you were wearing your seatbelt. And, will do everything to make a case showing how your negligent actions contributed to your injuries. In some cases, failure to buckle up may be an issue. Candidly, maybe the extent of harm would have been different if the injured party was wearing a seatbelt. However, it’s up to the defense to prove it. You need to know what happens when they are successful. 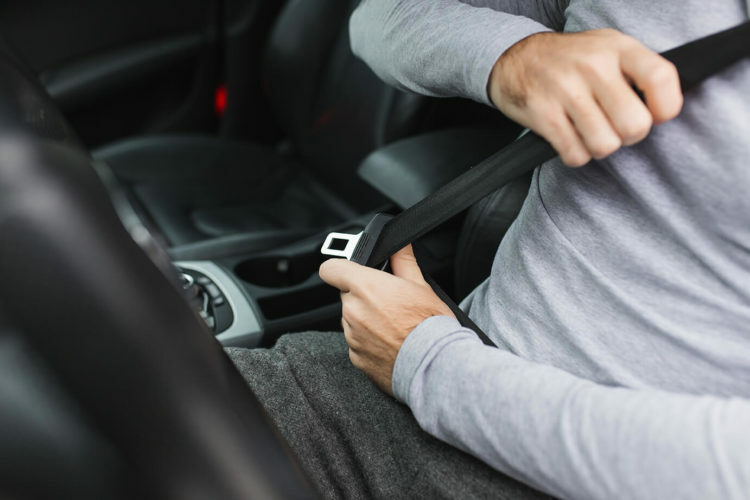 The Texas Supreme Court dealt with the issue of seatbelts and their relation to accidental injury. In Nabors Well Services, Ltd. v. Romero, 456 SW 3d 553 – Tex: Supreme Court 2015, the case involved an accident with a transport truck and an SUV carrying eight occupants. For purposes of this discussion, the circumstances of the crash are not important. One of the passengers was killed in the crash. At the same time, the others were severely injured. There was a dispute concerning the use of seatbelts. According to a report submitted by emergency responders, seven of the eight vehicle occupants were ejected from the vehicle. Based on an earlier court ruling, the trial court did not allow evidence regarding the non-use of seatbelts. The previous case said that injured parties could not be held liable. Obviously, their failure to buckle up did not contribute to the accident. Notwithstanding, the defense made a case regarding the failure to use seatbelts when the case was appealed. The victims were most likely ejected because they were not belted. Consequently, a life might have been saved and other injuries diminished. What does this mean in plain language? The failure to buckle up could result in a reduced award. As long as the negligence is less than fifty percent, the injured party would receive monetary damages. However, the amount would be lessened by the portion of liability. If you or a loved one was injured in a motor vehicle accident, de Lachica Law can give you experienced legal advice. Contact us to discuss your claim. Why are Texting and Driving Really a Problem? Why Are There So Many Fatal Truck Accidents in Texas?